A management company uses a typical online outsourcing company for disclosures both for Civil Code § 1368, and other disclosure purposes, including lender and escrow certifications. Included within the disclosures is a question as to whether there is any pending litigation involving the association. The management company updates the online disclosures monthly. In between the updates, a lawsuit is filed against the association. After a home closes escrow, the online escrow certification is updated and buyer, who is now an owner/member, becomes aware of the lawsuit. Subsequently the board approves a special assessment to cover the costs of the lawsuit. The buyer sues the association and management company for failing to provide accurate information, and demands the amount of special assessment and costs/fees of bringing the lawsuit. 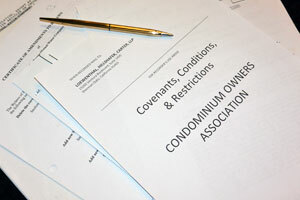 Managers and boards must be aware of new lawsuits being brought against the association; the timing of board discussions/determinations regarding assessment increases/special assessments; the timing of actual notices of levy of special assessments; or any other items that could materially impact and/or adversely affect escrow disclosures. Escrow disclosures must be updated whenever there is a substantive change with respect to issues that should be disclosed involving the homeowners association. Questionable areas: Claims that are not lawsuits, preliminary costs of repair, underfunding, potential special assessments, delinquencies. Management companies must have a process in place once a lawsuit is served. Common interest Development has common area slopes within the community, as well as adjacent to public streets. A substantial slope failure occurs adjacent to a public street which causes not only damage to the hillside, but also to the street, sidewalk and other public facilities. The hillside is part of the common area and it is determined that the failure arose as a result of a leaking irrigation line owned and operated by the association. 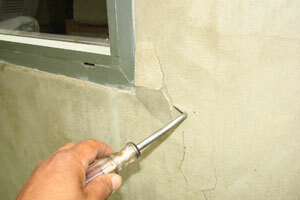 As such, the association is responsible for the costs associated with the repair. In addition, as a result of various insurance issues, there is no insurance coverage for this loss. The association conducts informal “town hall” meetings with its membership to discuss funding of the repairs, including a discussion of the levying of a special assessment. During these discussions, it becomes clear that a special assessment will be required and the specific amounts of such a special assessment are also discussed. Contemporaneously, a purchaser is in the middle of escrow; however, management does not disclose to the escrow company this anticipated special assessment. Escrow closes. At the next monthly board meeting, the board approves the special assessment, and notice is mailed out to all of the owners. New owner states that he would not have purchased the property had this leak issue or the special assessment been disclosed and blames management company and board. To avoid a lawsuit against the association and the management company, the management company ultimately pays the special assessment on behalf of the new owner. Continuously update disclosures that are made by the management company to potential purchasers with respect to litigation, special assessments or other items in which the management company/association is obligated to disclose to prospective purchasers. Be aware of the concerns with timing of when board anticipates an assessment, approves an assessment and notice of an assessment is sent. Board authority to levy an assessment. An older condominium project has long term deferred maintenance, and low reserve levels, as part of overall desire by prior boards to keep assessments low. Eventually the deferred maintenance catches up to the association. Significant special assessments are required to address threats to personal safety when the buildings (especially walkways) become structurally compromised. The board levies an Emergency Special Assessments, without a membership vote since threats to personal safety have now been discovered. A group of members bring claims against the association and management company for failing to properly maintain the property and having inadequate reserves. Boards have an ongoing duty and obligation to adequately assess so as to properly maintain common area infrastructure, even in poor economic times. Management company is to provide proper advice, suggestions and recommendations to the board of directors with respect to their duties and obligations to maintain, repair, replace and restore common area facilities as dictated by both the Civil Code and association governing documents. Simply wishing to keep assessments at a lower level is not a defense for the board to claims of improper maintenance, repair and replacement of common area component parts. The management company owns a small construction outfit and performs limited contracting services for their association clients, but typically does not disclose the ownership interest unless specifically asked by a board member. After the construction company performs work at the association for an extended period of time, the board learns of the joint ownership. Issues arise as to whether or not disclosures should have been made earlier and whether or not work has been performed at market price, as well as whether or not additional work was performed that was unnecessary. Ultimately, management company is terminated based upon its failure to disclose to the board its ownership interest in the construction company. Management companies and board members have statutory and fiduciary duties to disclose their ownership interest in any affiliated companies that perform business with the association. Issues are likely to arise whether or not appropriate competitive bids were obtained, value of services performed, extent of services being necessary and required, and the quality of work. Older planned development consists of “single family” detached homes, many of which have views. New purchaser buys a home and immediately goes to management company to seek information on the procedure to approve an addition to the home, as well as a rooftop deck and to construct a solid wood fence at the top of their slope, which is adjacent to an existing home which has a significant view. Management company provides the verbal approval for the new buyer to start the construction, as well as to erect the solid wood fence thereby blocking the neighbors’ view. Based upon the acts of the manager, the architectural review committee agrees to the proposed construction and allows the construction to begin, notwithstanding the fact that the architectural guidelines also include a specific height limitation which these additions would violate. Adjacent neighbor, whose view has been blocked, demand that construction stop and wood fence be removed immediately. New owner refuses to stop, and files a lawsuit against the neighbor, as well as the management company and association to enjoin them from any further delay of the approved construction and removal of the fence. Managers have no authority to provide approval of architectural modifications and such approval needs to come from either the board of directors or architectural review committee. Owners will rely upon oral representations; therefore, statements must be kept to a minimum. Management takes over an association previously under the control of the original developer. Association’s CC&Rs set forth a hybrid approach in the method of levying assessments, including an equal base amount for all owners, plus an additional variable assessment based upon items such as square footage of the home, amount of exterior surface of the property, whether certain exterior elements exist on that particular home, etc. Notwithstanding the manner in which assessments are identified within the governing documents, the original developer, during its control of the board, set assessments equally amongst all owners and assessments had continued to be assessed equally for a number of years. When management company takes over, CC&Rs are not evaluated with respect to assessments and the management company simply continues this method of assessment. A homeowner determines the assessments are being improperly levied and files a lawsuit against the association and management company. One of the key duties of an association management company and Board of Directors is to understand how the assessments are to be levied and collected. Whenever taking over an account, the CC&Rs and other governing documents should be fully reviewed by Management, including the assessment allocation method. Especially true in attached planned developments since, these are the types of properties that most often will have a variable assessment. Have a good transition plan/checklist for taking over any association from another management company or the developer. Community association has an annual election. Approximately 20% of the members are delinquent in payment of their regular assessments. Association’s governing documents allow for suspension of voting privileges after a due process hearing. Rather than going through the lengthy complicated process of noticing and holding membership suspension hearings, management company advises the board and the inspector of election to simply disregard the ballots of delinquent members. As such, a significant number of ballots are never counted by the inspector of election at the time of the election. When it became clear to the membership that a significant number of ballots were not counted as a result of memberships being suspended for failure to pay assessments, several members challenge the validity of the election and threaten a lawsuit against the association, the management company and the inspector of elections. Understand the relationship between voting rights and rules for suspension of rights. In this case, the manager provided legal advice which was mostly inaccurate and caused significant disruption and expense. Management companies may have liability for making recommendations beyond the scope of management contract, and the manager’s general knowledge. Independent inspectors of elections may also have potential liability for their actions. Association portfolio manager is friendly with some, but not all, members of the board of directors. Based upon both their working, as well as their personal relationships, there is significant email communication between the manager and several, but not all, of the board members. Issue ultimately arises with respect to the association that requires the board to consider various issues, facts and to make a decision about an important matter. Four of the board members are in agreement; however, one board member who happens not to be friendly with the other board members or the manager objects. Email chatter then ensues between the manager and the other board members during which time colorful descriptions and feelings are expressed regarding the fifth board member. Unfortunately, one transmission, which includes a string of emails, has the entire board copied, which allows the fifth board member to read all prior emails, including what the manager and other board members have said about the fifth board member. The fifth board member demands that the community manager immediately be taken off the account which, the management company does. The fifth board member also demands the resignation of the other four board members immediately, or tells them a lawsuit will be filed against the association and director personally based on a conflict of interest, defamation, and breach of fiduciary duty. Email chatter can be extremely dangerous since it expresses contemporaneous thoughts, feelings and opinions in a written format without the benefit of the author thinking about what is being said prior to being sent electronically. Email communication must be kept to a minimum. Watch for alleged violations of the Open Meeting Act. Conflicts of interest can arise from personal relationships with managers/board members. The board hires a new independent reserve analyst that has never worked with their association before to prepare an analysis with all of the previous reserve studies done for the past 20 years, and copies of all of the previous reserve disclosures done by the association in the past. The reserve analyst does a visual inspection of the association, and notes that the roofs appear to be at the end of their useful lives, and that roof tiles are falling off in large numbers. The previous reserve study indicates that roofs have 15 years of useful life remaining. The reserve analyst calls the manager and asks whether any work has been done on the roofs in the last few years, and the manager advises that extensive work has been done recently. The manager provides copies of the invoices from the roofer to the reserve analyst. The reserve analyst indicates that the useful life of the roof is 7 years. The board and manager review the reserve study together and determine that the reserve analyst must be wrong, so they agree to change the useful life to 10 years. The manager revises the assessment and Reserve Funding Disclosure Summary to indicate no assessment increase or special assessment will be needed. During the winter rains, half of the roofs in the association leak. The board levies a large special assessment to pay for roof repairs and replacement. Members are challenging the special assessment, and the validity of the study and disclosure. Management and the board should not second guess or alter those portions of the reserve study that set forth the professional estimates based on technical expertise. 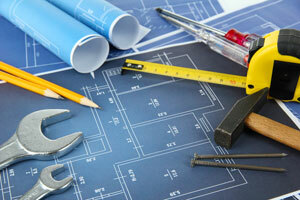 Liability for not following expert’s recommendations. Portfolio manager of a condominium project authorizes construction work to be performed to repair damages to both common areas and units as a result of water intrusion. The amount of the repair far exceeds that which is authorized pursuant to the management contract for the manager to perform. The association’s checking account only requires one signature and manager signs association checks to pay for the work. Ultimately the board determines that the work had to be completed, however, the extent and the cost of the work, as well as the fact that the board never authorized the extent of work that has been performed, creates an issue. Association turns to management company and demands that management company reimburse the association for the extra costs and expenses since, the board would not have authorized the extent of the work that has been performed. Except in cases of emergency, specific authorization or delegation to the community manager, all construction work should be authorized by the board. Duel signatures required on any checks over a certain amount helps eliminate the risk of liability for authorizing and paying for excessive work.